Mrs. Shirley Ann Daniel of Carrollton, GA passed away on April 9, 2019 at Tanner Medical Center in Carrollton at the age of 64. She was born on December 13, 1954 in Douglas County, GA. On December 23, 1972 she married Calvin E. Daniel, Sr and from this union came two sons. She symbolized her dedication to Jehovah by baptism on June 27, 1981. 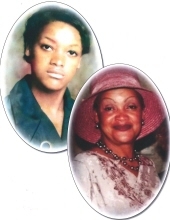 Mrs. Daniel was preceded in death by her father, John T. Merritt, Sr and her mother, Bobbie J. Merritt. She leaves to cherish her memories, her husband of 46 years, Calvin E. Daniel, Sr of Carrollton, GA, her two sons, Calvin E. Daniel, Jr (Amanda) of Carrollton, GA, Brian R. Daniel (Chrissy) of Villa Rica, GA, three grandsons, Michael D. Daniel, Caleb Z. Daniel and Ian C. Daniel and a special niece Alisa Long (Scott) and a special nephew, Jerel Glanton (Angelina) both of Douglasville, GA. She is also survived by sisters, Melba Jean Powell (Barry), Barbara C. Merritt, Linda Hines, Valerie Merritt and brothers John T. Merritt, Jr, Donald Merritt and Clint J. Merritt of Chula Vista, CA, along with her spiritual family and other friends and family. A memorial service will be held at the Kingdom Hall of Jehovah’s Witnesses in Carrollton on Tuesday, April 16, 2019 at 11:00 AM with Bro. Dillo Horn Jr officiating. In keeping with the family’s wishes, her body has been cremated. Messages of condolences can be sent to the family at www.martin-hightower.com . To send flowers or a remembrance gift to the family of Shirley Ann Daniel, please visit our Tribute Store. Cremation was performed prior to the service. "Email Address" would like to share the life celebration of Shirley Ann Daniel. Click on the "link" to go to share a favorite memory or leave a condolence message for the family.